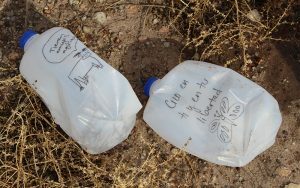 TUCSON — More than a decade ago, No More Deaths volunteer Dan Millis left plastic water jugs in the desert for migrants crossing the Mexican border into the Buenos Aires National Wildlife Refuge. Federal authorities charged him with littering in 2008, and he was found guilty by U.S. Magistrate Judge Bernardo Velasco. 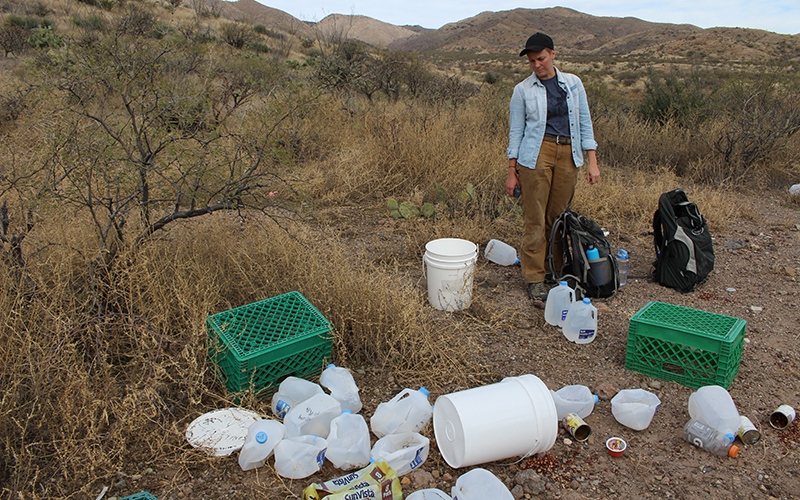 Millis’ case was overturned two years later by the 9th Circuit Court of Appeals, and it’s considered a win for the volunteer organization pledged to provide food, water and clothing for migrants crossing forbidden stretches of the Sonoran Desert. Last week, Velasco found four more No More Deaths volunteers guilty of misdemeanor charges, not only for leaving aid, but also for trespassing on the national wildlife refuge. The four face possible prison time and a $250 fine. Sentencing has not been scheduled. Velasco found No More Deaths volunteer Natalie Hoffman guilty of all three charges brought against her; Oona Holcomb, Madeline Huse and Zaachila Orozco-McCormick were found guilty of the two charges brought against them. In his verdict, Velasco asserted the four defendants knowingly broke the law by entering the Cabeza Prieta National Wildlife Refuge without a permit. However, he doesn’t think government organizations are responding adequately to what he said is an increasing number of human remains found across the desert. Given his own legal battle, Millis has hope for the four women found guilty Friday. “(Velasco) said similar things about me with the bogus conviction 10 years ago. He was wrong then, and he’s wrong now,” Millis said. Four more No More Deaths volunteers are scheduled to begin their trials Feb. 26 and March 4. Caitlin Deighan is charged with driving in a wilderness area. 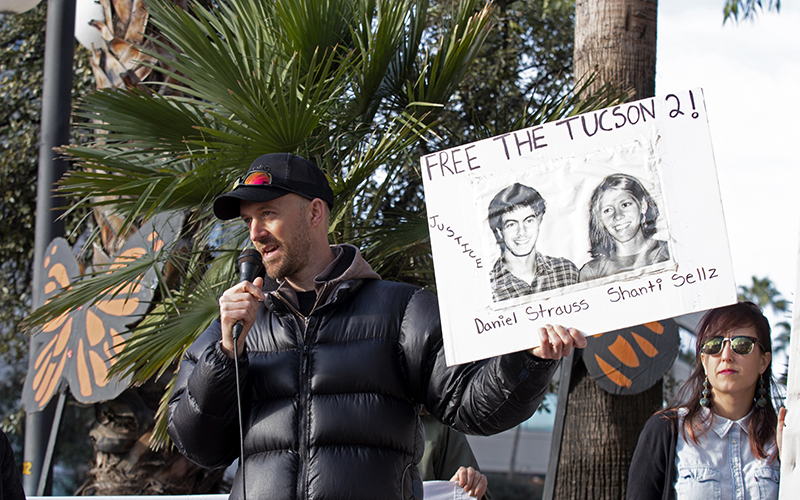 Deighan, Zoe Anderson, Logan Hollarsmith and Rebecca Grossman-Richeimer face charges of entering a national wildlife refuge without a permit. A fifth volunteer, Scott Warren, is facing felony charges of harboring and conspiracy related to humanitarian aid work. His trial is set to begin in late May. Warren has taught in the past as a faculty associate at Arizona State University. With Velasco’s decision last week, No More Deaths now has four more guilty verdicts to add to its legal history. 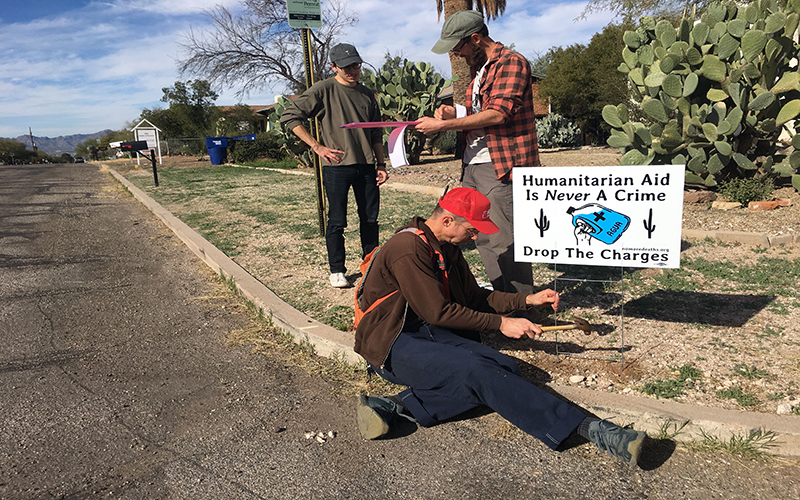 But what do the recent convictions and upcoming trials mean for the future of providing potentially life-saving aid in Arizona’s borderlands? The Rev. John Fife, one of the founders of No More Deaths in 2004, said the group’s guilty verdicts won’t change the work the group does. Katherine Franke, a legal expert on the defense’s side, said the criminalization of No More Deaths’ humanitarian work can spill over to the work of other aid organizations. Fife said the guilty verdicts for the four volunteers will be appealed. “The ruling will be appealed, as have other rulings that tried to criminalize the provision of humanitarian aid in the midst of this terrible tragedy that’s going on in our desert and has for years,” he said. The prosecution has declined to comment.